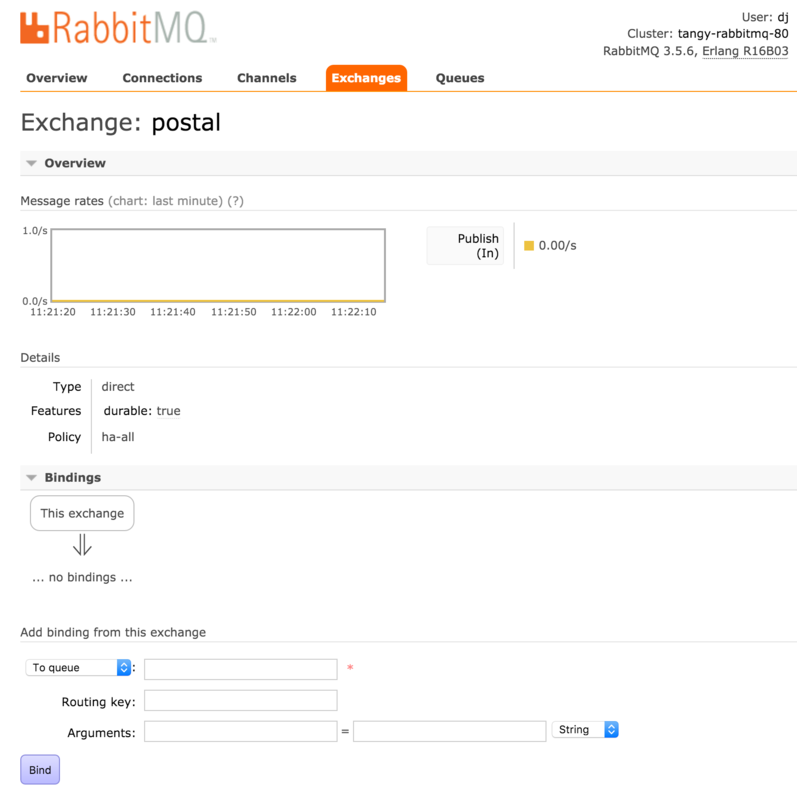 Now you have your Compose RabbitMQ deployment set up, you'll want to get your RabbitMQ applications connected to it. In this article, we're going to look at how to make secure connections with TLS, with and without server verification, to a Compose RabbitMQ deployment. We're also going to do it with Java, Ruby, Python and Go. You'll still need to refer to each language's library documentation and tutorials, but they don't address quickly how to make a secure connection. 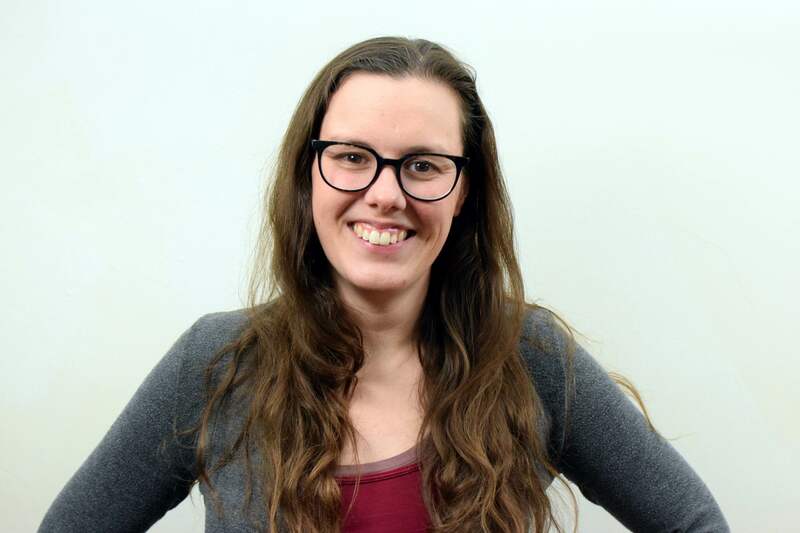 The first thing to know is that you can only use AMQP and TLS secured connections into Compose RabbitMQ. We'll assume you have set up a RabbitMQ user and password already; if not refer to the getting started guide. If you have read any RabbitMQ documentation you will know that a URI to create and unsecured connection to RabbitMQ begins with the schema "amqp://...". To start a TLS secured connection, all you need to do is switch to using "amqps://...". We'll start our explorations with Java, which is the only official RabbitMQ client we're covering here. The first thing you'll need to do is to install the official RabbitMQ Java Client - there's a number of options which should be familiar to any Java developer. Pick the one that suits your development environment. Once you are ready to build, then we can move on. You may also want to refer to the RabbitMQ tutorials. 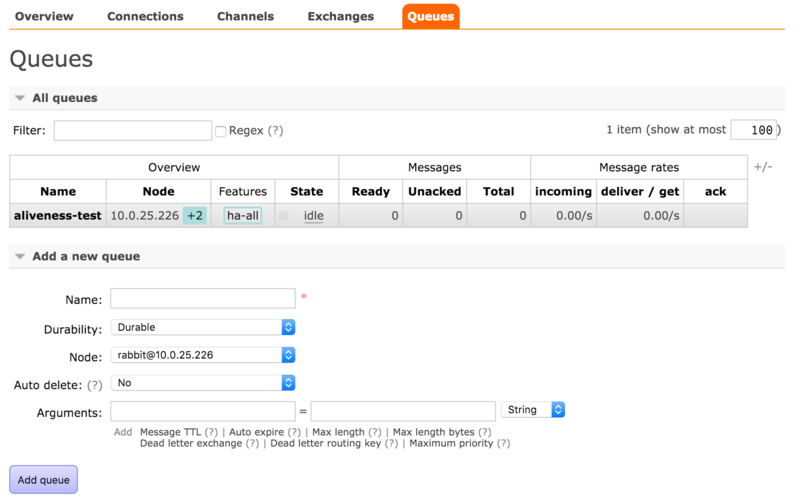 If you go to your Compose Console, select your RabbitMQ deployment and go to the overview, you'll find two connection strings, one for each access portal, available for you to use with the "amqps://" already being used in them. Just copy those into your applications and then edit the username and password as appropriate. If you run that example – you'll find the full code for this and subsequent examples here – it'll silently connect, deliver the message and disconnect. 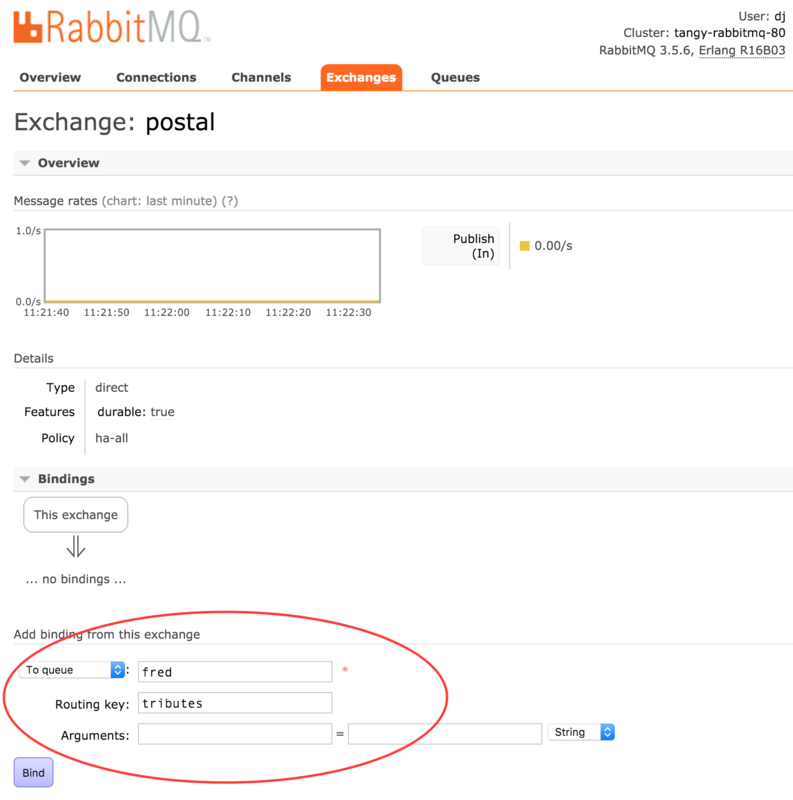 You'll probably want to verify that it did something so log into the RabbitMQ Admin UI – you'll find the URL in your Compose Console – and select the Exchanges tab. There should be a "postal" exchange there which your code created. When the code runs, there should also be some activity shown in the charts. You may wonder what happened to any messages sent before a queue was bound to the exchange. The answer is that it was discarded automatically as it could not be routed. RabbitMQ has a mechanism to catch unroutable messages called Alternate Exchanges for special cases, but it's generally best to ensure everything is routed in your messaging architecture. You may also wonder why the message is still in the queue even when we got it. Getting a message is a destructive act, but if you look on the Get Messages panel, you'll see it's set by default to requeue the messages we pull off. This should, of course, remind you not to go getting messages from queues on your production system. This will import the composecert (or whatever you named it) certificate file into the keystore with a name of compose1. It will write out a rabbitstore file encoded in pkcs12 format... Or at least it will after you give it a password for rabbitstore (twice) and answer "yes" when it asks you. And we're done. If the certificate held doesn't cryptographically match up with the server's private version then an exception will be thrown which, of course, can be caught and handled appropriately. Well, that covers the official Java client, but what of other languages and drivers. certificate, connection upgrade will fail! The server is not configured to verify clients (and we don't currently offer client certificate verification) so the connection upgrade will succeed and the presence of the server's certificate has allowed the client to confirm which system it is talking to. First we pull in the libraries we need. The try/except part is to let the code import urlencode in Python 2.x and 3.x – the method changed library between the two versions. We're also only importing the ssl library for a single constant. We can now use the configuration to connect to the server. And we will be connected. For completeness, here's the rest of the Go code to create our exchange and send a message. It's a little long because the parameters are spread across multiple lines but it's essentially the same as the previous examples. message := "This is not a message, this is a tribute to a message"
And there we have the four examples, Go, Java, Ruby and Python which should help you get going with RabbitMQ on Compose. You should also be equipped now to bend any other language's driver to your will, as we covered the capabilities and requirements of the TLS connections, and a quick way to test your code is working without writing any more code. Now you are ready to go, take control of the RabbitMQ system, create your own architecture of exchanges and queues and deliver your mission critical messages.